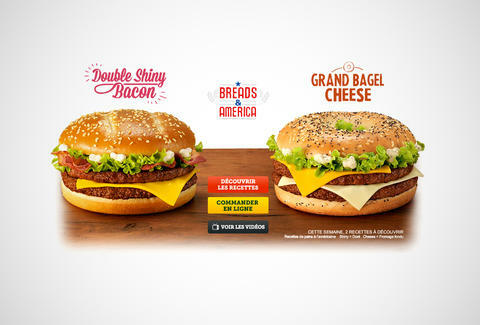 McDonald's France now offering America-inspired "Shiny Bacon Burger"
Clearly Europeans can't get enough of American-themed fast food. 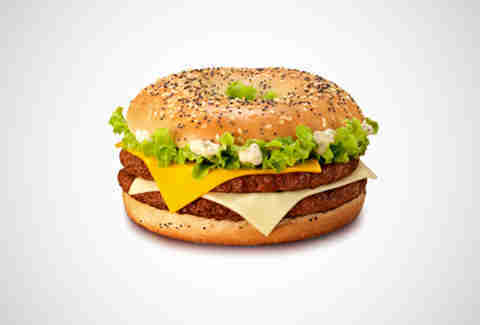 First there were Homer Simpson's "les cheesy donuts", and now, as part of the French McDonald's new "Breads & America" series, they're offering three sandwiches with distinctly Yankee influences. 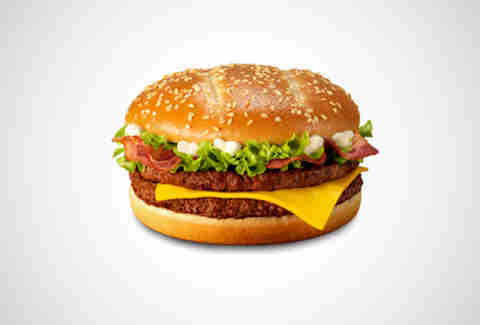 The crown jewel is, of course, the Chuck Norris bald eagle burger Le Double Shiny Bacon Burger. 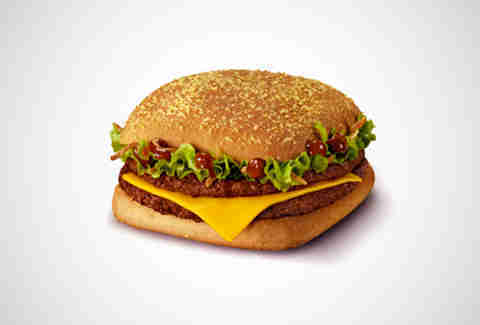 The shiny part seems pretty damn subjective, but the double patties and the bacon and the America are all very real. Behold Le Double Cornbread Barbecue, a stunning burger sandwiched between slabs of cornbread and topped with fried onions, lettuce, cheddar cheese, and BBQ sauce. Au revoir, post-cookout season blues. Or should we say bleus.